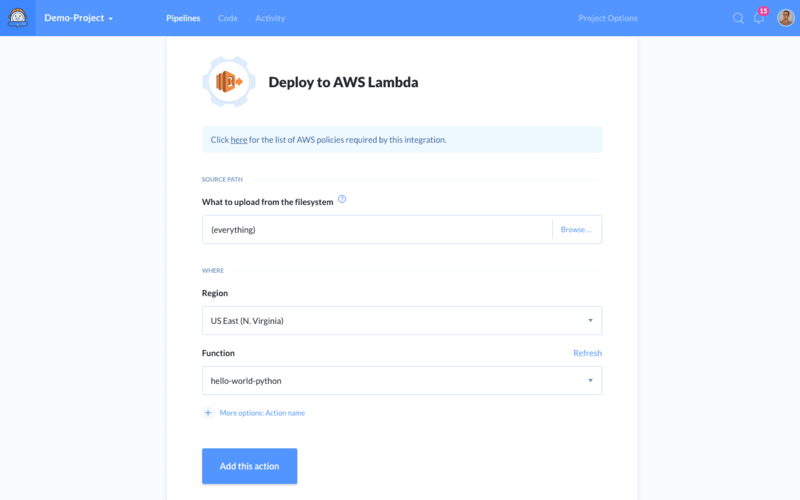 Following the recent addition of the AWS CLI, Buddy is tightening the integration with Amazon services with the new Lambda deployment action. AWS Lambda is a compute service that lets developers run code without provisioning or managing servers. All you need to do is deploy your function code, and AWS will take care of the rest. You can use it, eg. to scale images, run content analysis or make a backup of your site. 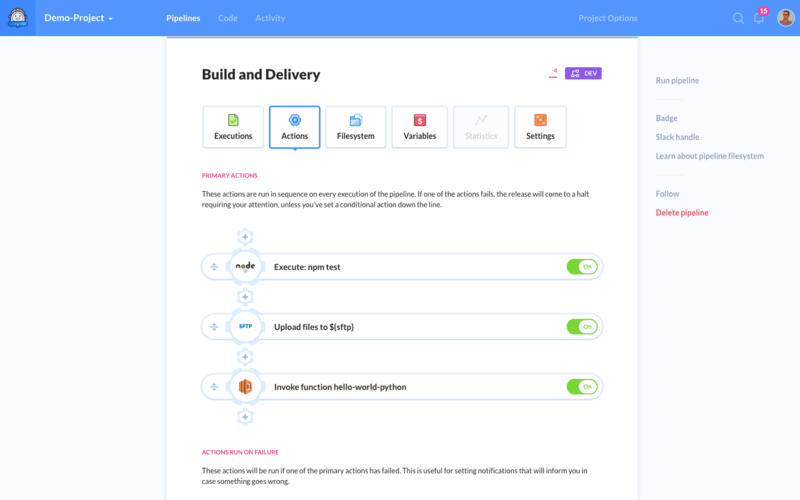 It is a tool focused strictly at event-driven systems. In order to make action work properly, you need to define the policies first. You can find a complete list of policies for AWS services here.